CAT Industrial Work Socks (Pack of 2 Pairs) are constructed from 41% cotton, 41% Acrylic, 15% Polyester and 4% Elastane. Extra heavy duty high density heel and toe protection for use with safety toecaps. High stretch top. Anatomical Y heel for improved fit. Soft feel, durable fabric for enhanced comfort. Available in 2 sizes so will fit feet sized 6 - 14! 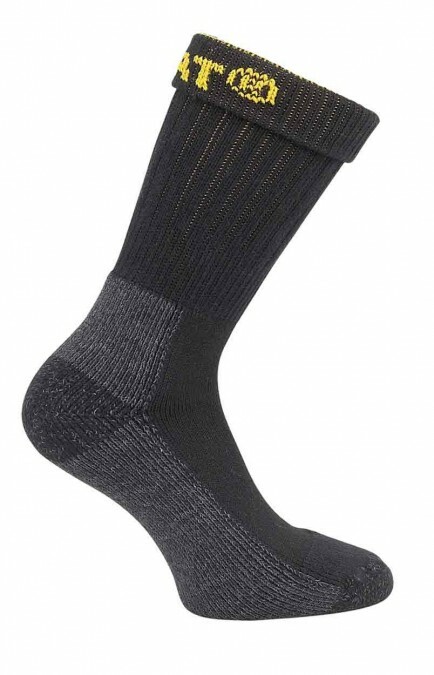 CAT Industrial Work Socks are machine washable at 40C.